Dennis Stephen Botsko arrested after physical altercation with two women in Vero Beach, Florida. 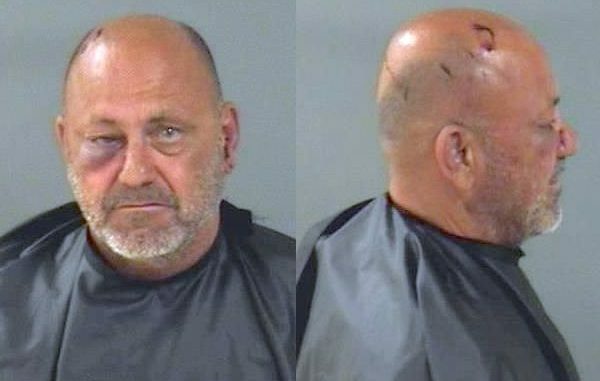 VERO BEACH – A man who was in a physical altercation with two women said his preferred method of winning fights was by choking out the person, according to the Indian River County Sheriff’s Office. One of the female victim’s said she dragged the defendant, later identified as Dennis Stephen Botsko, out of the Vero Beach home while he was allegedly choking her. “She advised that Botsko followed her as she entered the residence, and attacked her without provocation while in the living room. [The victim] informed me that Botsko grabbed her by the neck with his hands from the front and then began to squeeze,” the deputy said. The victim said she was unable to breathe and began to lose her vision. She dragged Botsko out of the home where the physical altercation ended, according to the affidavit. “I observed redness on her throat, redness on the inside of her right wrist, and sand on her knees,” the deputy said. Botsko, 50, told the deputy that his preferred method of winning fights was by “choking ’em out,” the affidavit said. The female victim said Botsko is an ex-boyfriend who she broke up with a week prior. Deputies charged Botsko with Felony Battery. Botsko also had a warrant for his arrest for Burglary out of Palm Beach County. He was transported to the Indian River County Jail where he is being held on $32,500 bond.